A colleague of mine was vacationing in Hong Kong and picked up a new addition to my collection. A Hong Kong ice cream truck. Mobile Softee formerly known as Mister Softee. 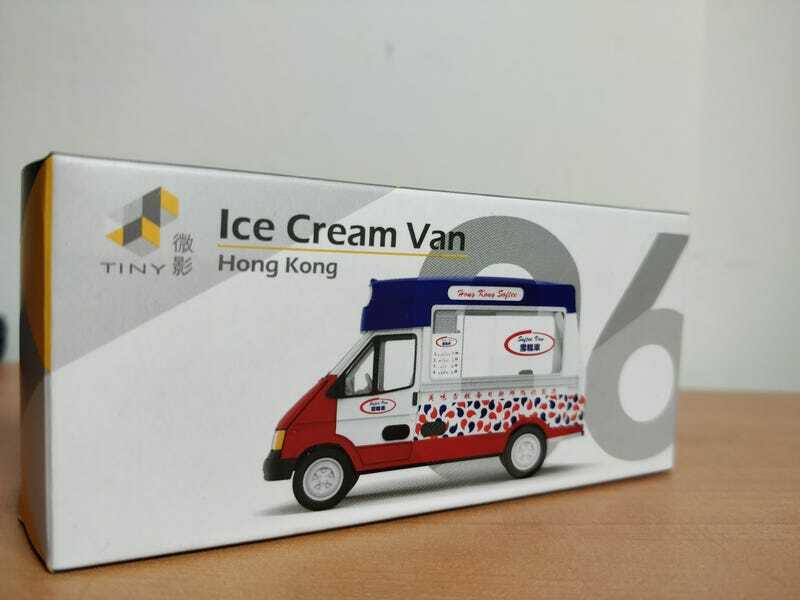 Although this isn’t labelled as such, it is clearly modelled after the iconic Mobile Softee ice cream trucks that have dotted the Hong Kong landscape since the 1970's. What makes this brand more interesting is that in 1978, the Hong Kong government stopped issuing hawking licences and their current licence could not be transferred to others or to new vehicles. This means that the 14 that still on road, have been on the road for quite a while! The quality of the diecast isn’t the best. There’s a bit of overspray here or there but the amount of lettering and patterns applied to it makes it quite nice looking model, if from a distance. Sink and fridge, with a partial shot of the ice cream machine. The interior, although lacking in colour is very faithfully detailed. There are two refrigerators, a sink, and an ice cream machine. All of which, were required by law to be in all ice cream trucks. The menu on display reflects the real Mobile Softee trucks with the same four items, same name, and same price.